To claim this profile, please confirm you are Ashton Marks. To follow this profile, please let us know your relationship to Ashton Marks. Ashton's baseball stats have been updated for the loss @ Concord. The Las Lomas varsity baseball team lost Thursday's away conference game against Concord (CA) by a score of 6-3. Ashton's baseball stats have been updated for the win vs. Salinas. The Las Lomas varsity baseball team won Wednesday's home non-conference game against Salinas (CA) by a score of 5-4. Ashton's baseball stats have been updated for the win vs. Concord. The Las Lomas varsity baseball team won Tuesday's home conference game against Concord (CA) by a score of 5-1. The Las Lomas varsity baseball team won Friday's home non-conference game against Miramonte (Orinda, CA) by a score of 4-2. Ashton's baseball stats have been updated for the win @ Ygnacio Valley. RESULTWin Varsity baseball @ Ygnacio Valley. The Las Lomas varsity baseball team won Thursday's away conference game against Ygnacio Valley (Concord, CA) by a score of 8-2. Ashton's baseball stats have been updated for the win vs. Ygnacio Valley. RESULTWin Varsity baseball vs. Ygnacio Valley. The Las Lomas varsity baseball team won Tuesday's home conference game against Ygnacio Valley (Concord, CA) by a score of 21-3. The Las Lomas varsity baseball team won Thursday's home non-conference game against Pinole Valley (Pinole, CA) by a score of 6-3. Ashton's baseball stats have been updated for the win @ Yuba City. RESULTWin Varsity baseball @ Yuba City. 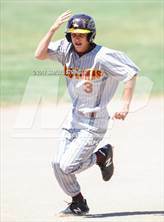 The Las Lomas varsity baseball team won Saturday's away non-conference game against Yuba City (CA) by a score of 9-4. Ashton's baseball stats have been updated for the win vs. North Salem. The Las Lomas varsity baseball team won Saturday's neutral non-conference game against North Salem (Salem, OR) by a score of 7-0. Ashton's baseball stats have been updated for the win @ St. Joseph Notre Dame. RESULTWin Varsity baseball @ SJND. The Las Lomas varsity baseball team won Thursday's away non-conference game against St. Joseph Notre Dame (Alameda, CA) by a score of 4-1. The Las Lomas varsity baseball team won Tuesday's home non-conference game against Justin-Siena (Napa, CA) by a score of 9-7.